Justin Simon is the Managing Director of "Simon and Sons" company and he was one of the founding partners, who helped to establish the business in 2016 and has more than 20 years of experience in management consulting experience across Asia, UAE & Qatar. He leads the "Simon and Sons" company in India & Dubai and he is an expert in the educational sector. Justin Simon has more than 20 years of management consulting experience advising private, public and MNC firms as well as the government of India. His expertise spans a range of industries, including IT services, Food & Beverages and Hospitality industry, with a deep focus in the eLearning & educational sectors. He specializes in growth strategy, performance improvement and turnarounds, market entry and full potential, strategy implementation, commercial due diligence and organization. 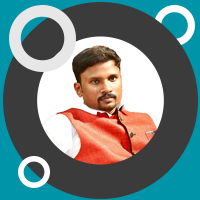 Justin Simon has started his career at a leading educational group of Institutions in Chennai, India and he was part of the core team and he was responsible for various businesses running under that group, starting from initialization to implementation and he was associated with that group for more than a decade. He was very instrumental in ramping up many institutions under the group right from the scratch. Justin Simon holds a Master of Engineering in Computer Aided Design from Sathyabama University and also he holds Bachelor of Engineering in Mechanical Engineering from Sathyabama Engineering College. Diana Justin is the Executive Director of "Simon and Sons" company and she has more than 10 years of experience in education and Biotechnology field. She closely works with Justin Simon for the "Simon and Sons" company in India & Dubai and she is an expert in the Educational sector. Her expertise spans a range of disciplines, including health biotechnology, microbiology, media & animation, with a deep focus in the educational sectors. She specializes in growth strategy, performance improvement and turnarounds, market entry and full potential, strategy implementation, commercial due diligence and organization. Diana Justin has started her career at a leading educational group of Institutions in Chennai, India and she was part of the core team and she was responsible for setting up many new departments from initialization to implementation and she was associated with that group for more than a decade. She was very instrumental in ramping up many departments under the group right from the scratch as well as she was responsible for the research and development department running under the group. Diana Justin holds a Masters in Biotechnology and pursuing her Doctorate in Biotechnology and holds a certification in media and animations. Arun Simon is the Executive Director of "Simon and Sons" company and has more than 15 years of experience in management consulting experience across Asia & Qatar. He closely works with Justin Simon for the "Simon and Sons" company in Qatar and he is an expert in the IT, Consulting & Hospitality industry. 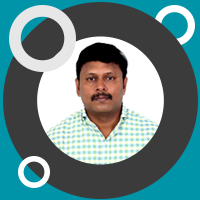 Arun Simon has more than 15 years of managing various businesses and he is specialized in manpower and consulting services and his expertise spans a range of industries, including IT services, ITES, Consulting services etc. He is specialized in Manpower and consulting services. 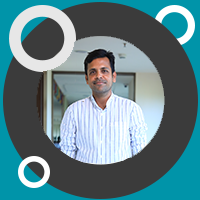 Arun Simon has started his career in a leading consulting services company based in Qatar and he was associated with that company for more than a decade and he was part of the core team who joined in the initial days and he has contributed a lot and he is the main reason behind the growth and success of the company. Arun Simon holds a Bachelor of Engineering in Computer Science from Park college of Engineering and Technology .